By Default, updates for Click-To-Run installations of MS Office 2013 and 2016 are not offered by Microsoft through Windows updates, rather we need to manually update by opening an application or set to update automatically. 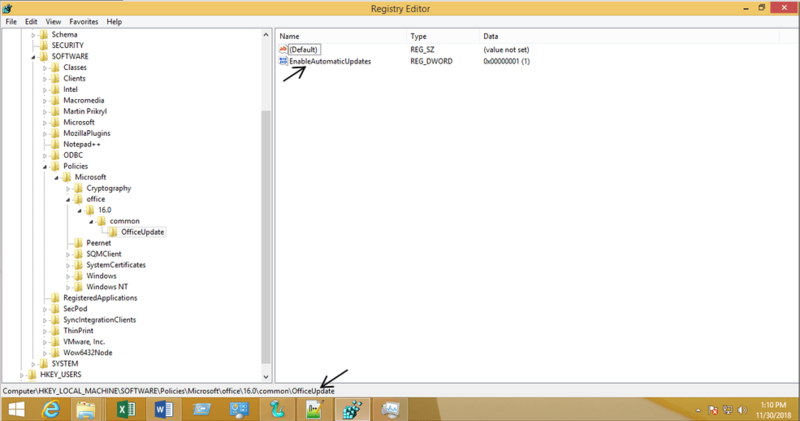 In this article, we will explain how we can install updates manually and how we can configure the Windows registry to get updates automatically. 1. Open Word or Excel and create a new document/sheet. How to configure automatic update via registry setting? Create a new entry or set ‘EnableAutomaticUpdates‘ to 1 of DWORD type under OfficeUpdate. 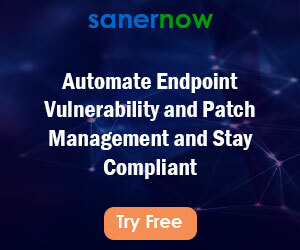 SanerNow can automate the above registry settings across the organisation with ease. Click here to explore steps using SanerNow. Follow the below steps to enable automatic update. 1. Download Office2013_C2R_RegUpdate.zip or Office2016_C2R_RegUpdate.zip file according your MS Office setup and unzip the file. 3. Go the path where ‘Office2013_C2R_RegUpdate.exe’ or ‘Office2016_C2R_RegUpdate.exe’ is extracted. 4. Run the below command with ‘/S’ silent option to make to have registry setting.